GURPS fans, rejoice! 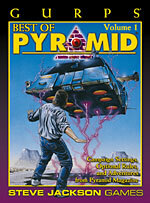 This 128-page book reprints 19 of the best GURPS items from the print issues of Pyramid Magazine. Now you can get these rare articles in one place . . . updated by Pyramid editor Steven Marsh. Included are the popular campaign setting "Sprockets," high-powered rules like "Brain Hacking" and "Willful Weapons," source info like "Low-Tech Economies," and unique adventures like "Trespasser's Isle" (zombie horror) and "Time of the Tyrants" (dinosaurs!). And yes, there will be another book later in 2001, with more of the same great material! 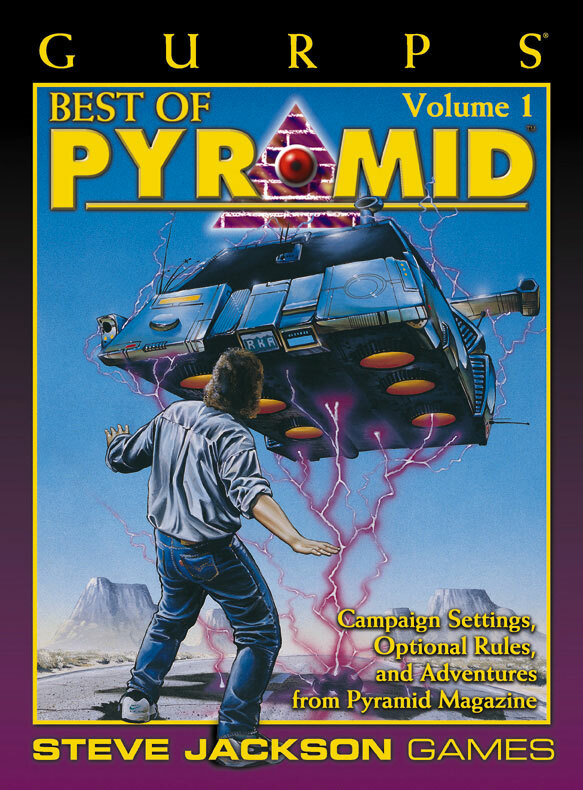 GURPS Best of Pyramid 2 – The "Unlimited Mana" variant rules, The Hole – one of the most requested articles ever, straight from Pyramid Issue #1 – plus the complete run of Terra Incognita and Warehouse 23 features from the paper edition, and lots more! GURPS All Star Jam 2004 – Nine (well, ten) top authors at the top of their games – this book has something for everybody! GURPS Traveller: The Best of JTAS 1 – This book collects in one volume the very best articles published online in the year 2000, as picked by JTAS editor Loren Wiseman.